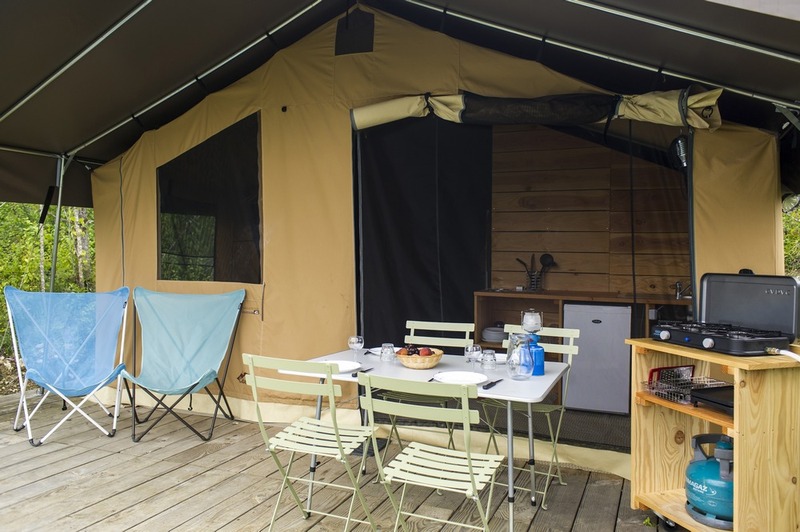 Holidays in the heart of the Tarn Gorges with views over the river! 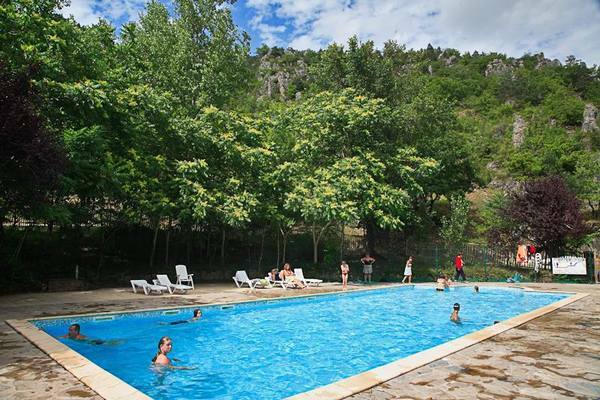 Huttopia Gorges du Tarn campsite with its swimming pool is ideally located for swimming, open-air sports, and exploring the Cevennes. 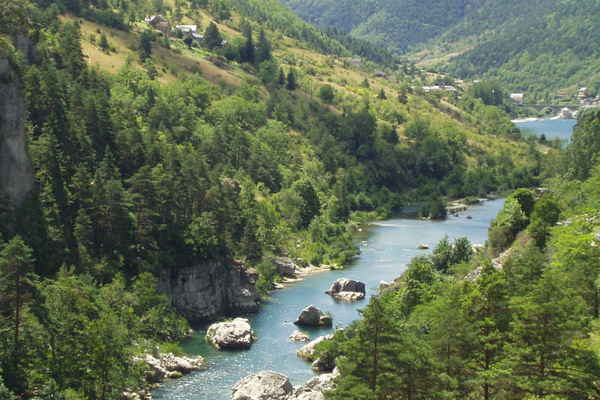 The Tarn Gorges abound with activities for you to explore the great outdoors! 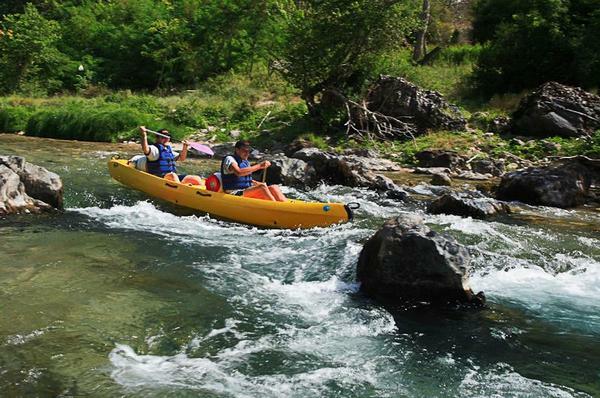 Enjoy a range of white-water sports offering adrenaline-fuelled thrills: kayaking, canoeing, canyoning, rafting and river hikes. 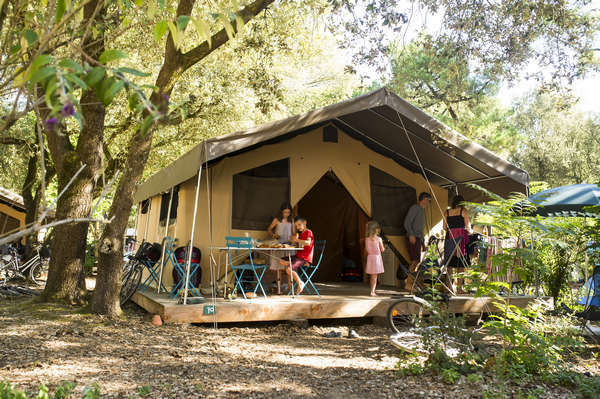 Huttopia Gorges du Tarn campsite is ideally located between the Gorges, the Cevennes and the Lozier, offering a wealth of exceptional sites for all the family to enjoy! 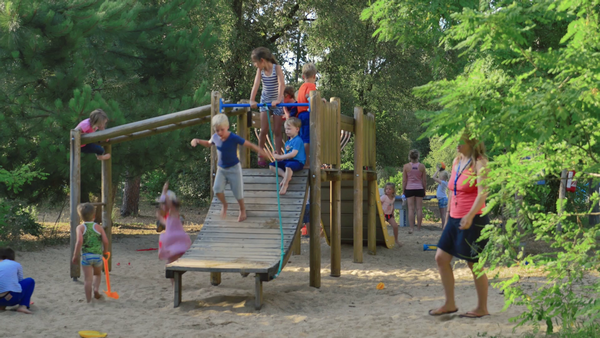 On the campsite: a private beach on the banks of the Tarn, a heated swimming pool, activities for all the family, volleyball and petanque pitches, a playground, and food services, for a truly successful family holiday. 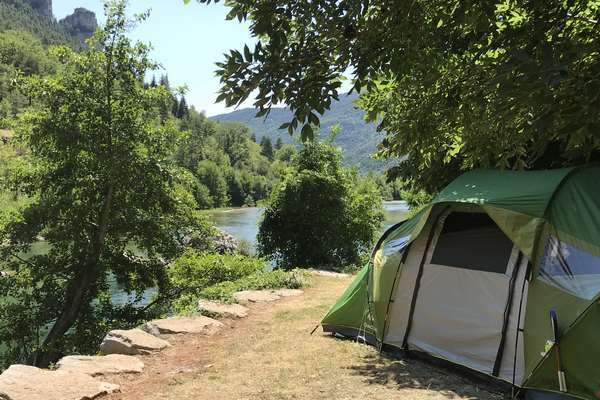 A campsite with views of the river and the mountains! 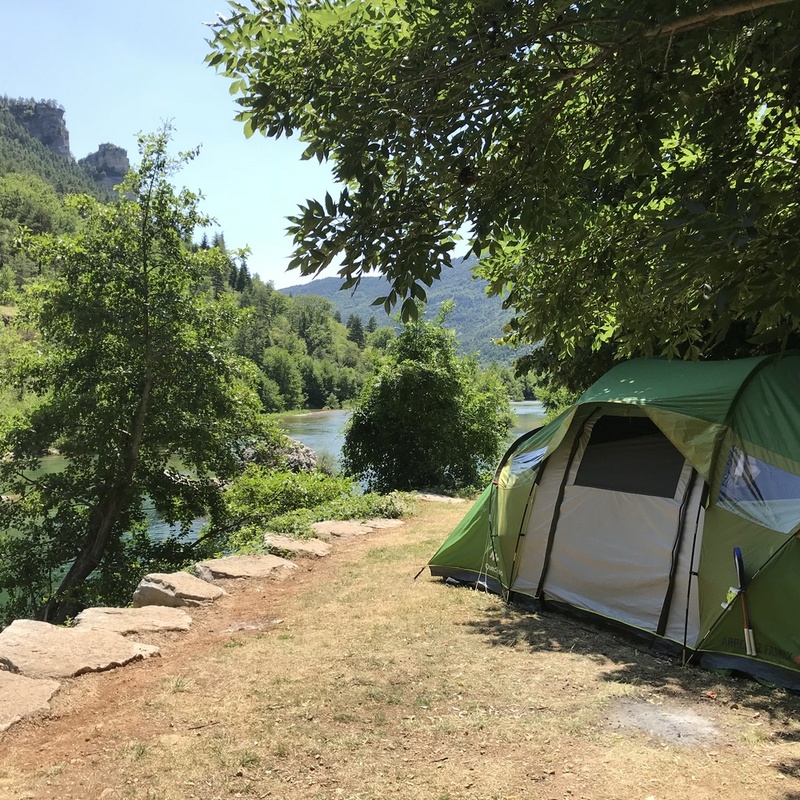 Enjoy our brand new pitches and rental accommodation on the banks of the river, offering exceptional views of the Tarn Gorges and its clear, emerald waters. 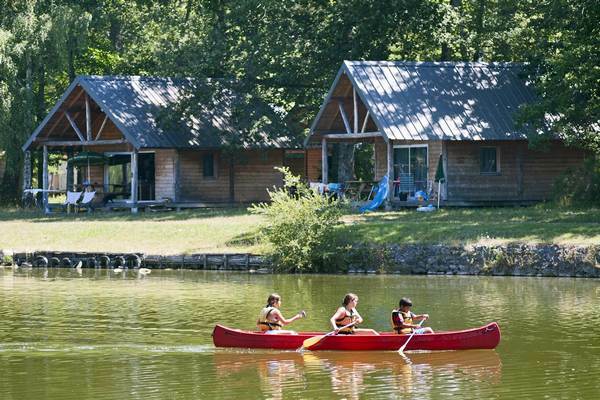 Looking for a peaceful setting? Our rentals are set out into terraces offering unique views of the canyon, ideal for relaxing in true tranquillity. 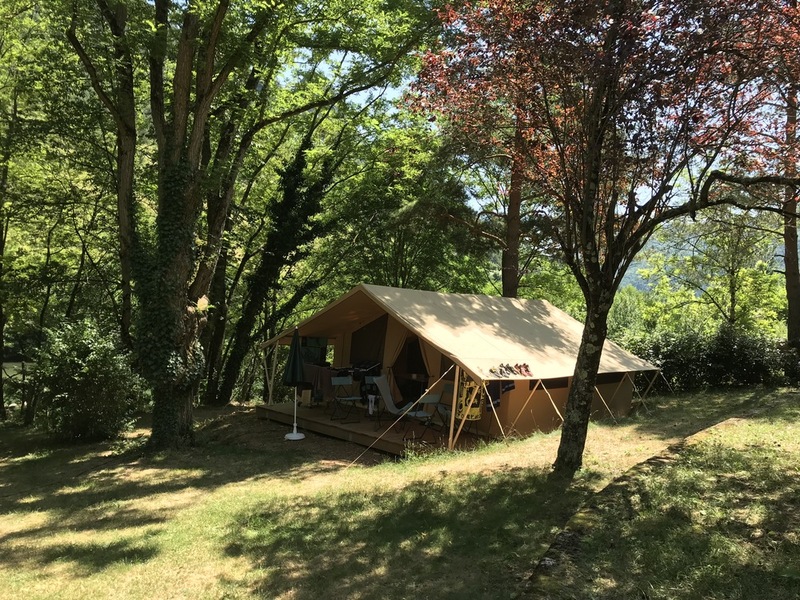 (Wood & Canvas tents, Chalets and Wood Trailers), you have all the choice you need for a successful holiday with family, friends, or as a couple! 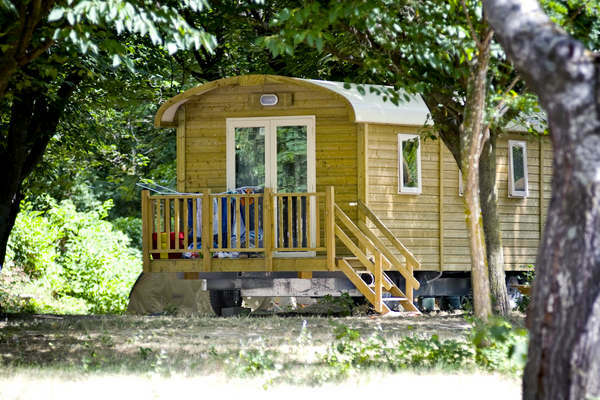 Set on the river banks, Huttopia Gorges du Tarn campsite is located just after the Pas de Soucy. There are no canoes on this part of the Tarn, so you can swim in an even more tranquil setting! 25m² - 5 people. NEW! 21 m² - 4 people. 14 m² - 4 people. NEW! 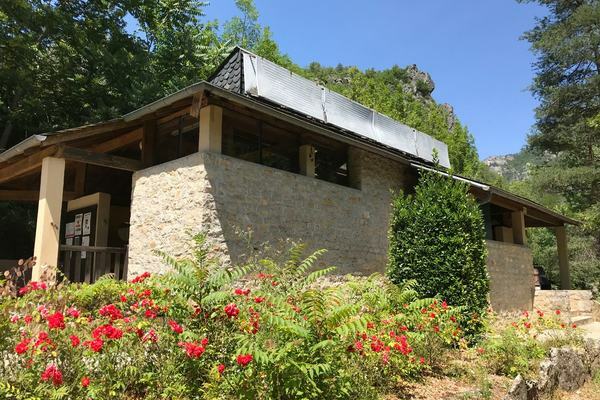 A unique location on the banks of the Tarn offering access to the beach and exceptional views! 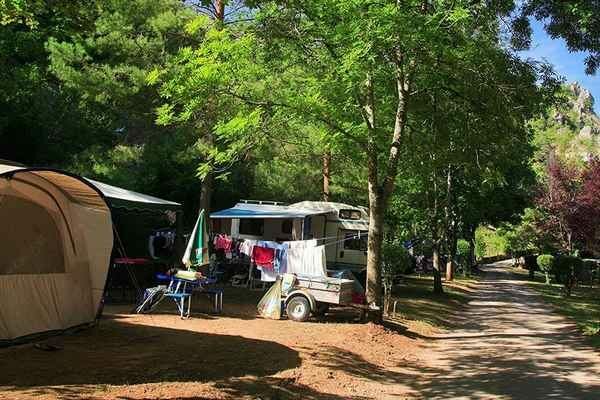 Huttopia Gorges du Tarn campsite offers many pitches where you can set up your tent, motorhome or caravan. Terraced pitches with views of the mountains, shady pitches under the oak trees, pitches on the banks of the river… take your pick! Two renovated washrooms with disabled access, offering toilets, washbasins, washing-up areas, etc. 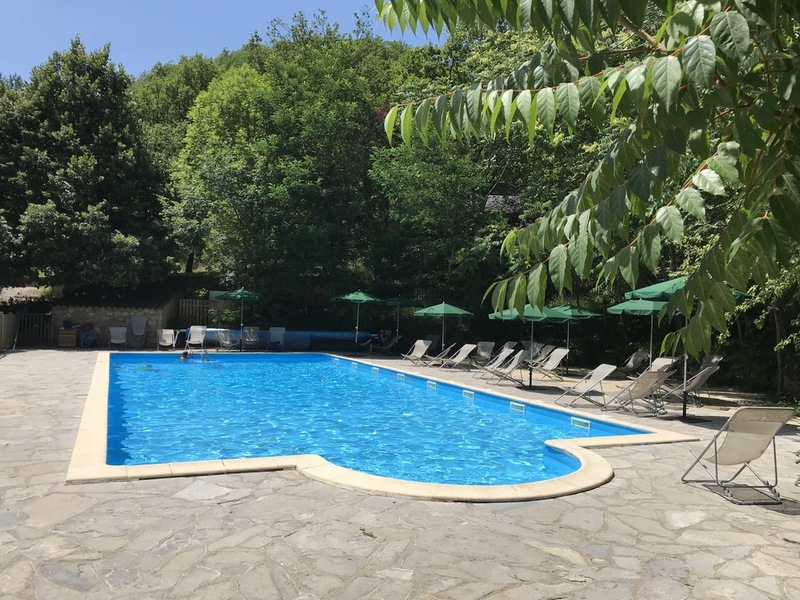 After a great day out canoeing or sightseeing, relax and unwind on the terrace of the swimming pool at Huttopia Gorges du Tarn campsite with views over the mountains. 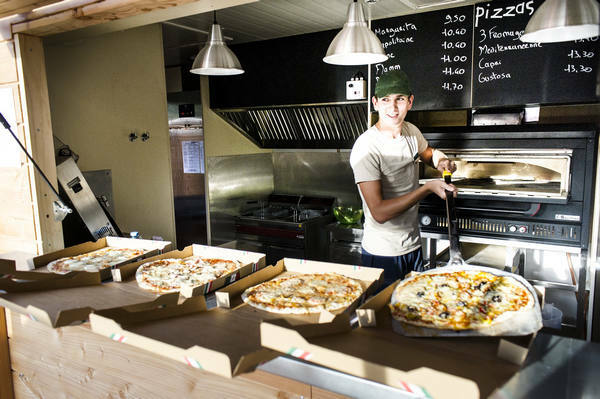 Share a pizza, tuck into some grilled meat, or treat yourselves to a delicious ice cream! 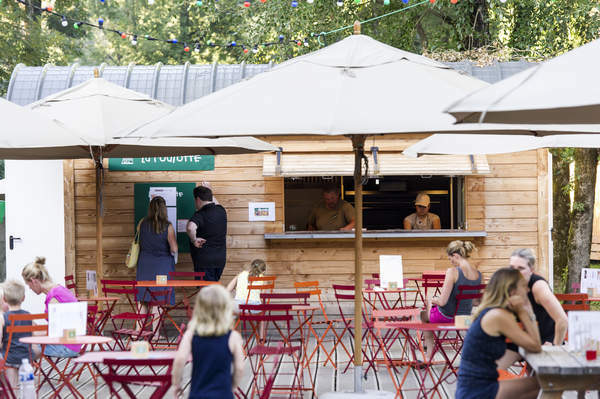 Huttopia Gorges du Tarn campsite also offers a simple, quality food service at the Snack Wagon, where you can enjoy drinks or food out on the terrace. 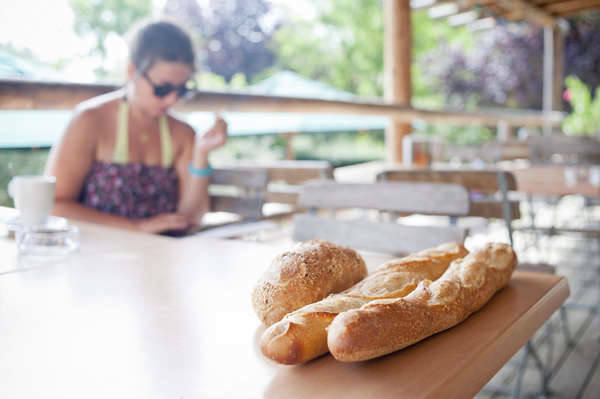 The place where campers like to get together: a beautiful terrace with large tables awaits you near the swimming pool. The ideal setting to enjoy a coffee while your older kids splash about in the pool. Are you arriving at the campsite? Come along to reception for all the information you need about your stay.  Our team will be happy to let you know all about the region and its activities. The Tarn Gorges abound with open-air activities: hiking, kayaking, canoeing… A real must! 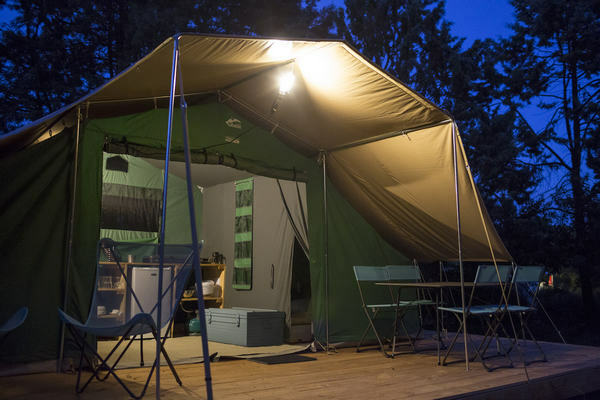 > There are many open-air activities for you to enjoy just a stone’s throw from the campsite: white-water sports, mountain biking, rock climbing, and caving. 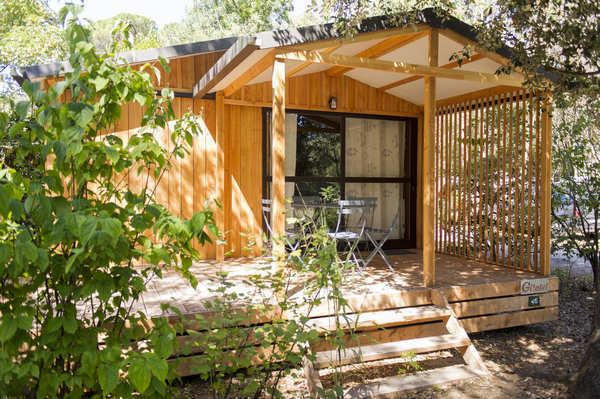 A campsite in the heart of the Tarn Gorges with a heated swimming pool and a terrace overlooking the mountains. 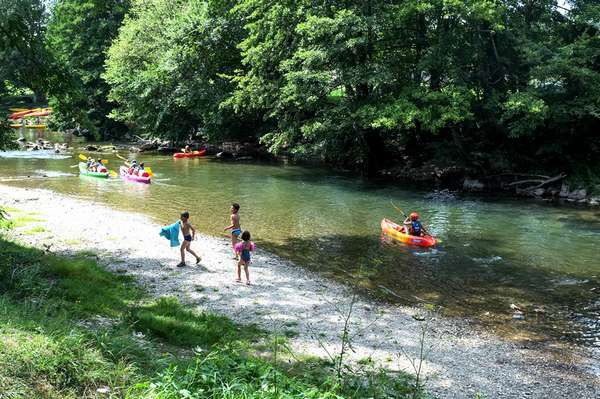 Huttopia Gorges du Tarn campsite also has a private access so you can swim directly in the Tarn away from other campsites and the tumult of canoes, which don’t navigate on this portion of the river. 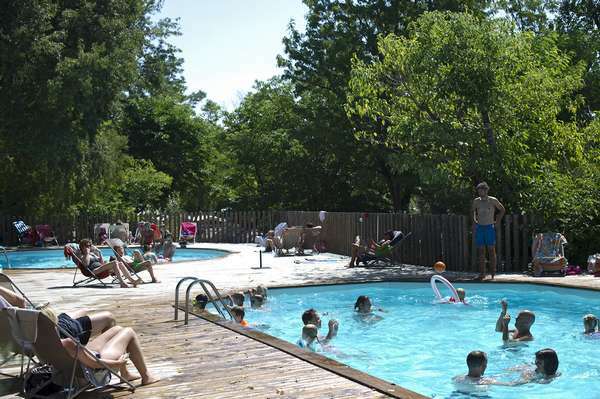 An unforgettable holiday at Huttopia! On site, you can enjoy many other leisure facilities for children and adults alike: table football, petanque, tennis, playground, board games and books to borrow. In the summertime, free activities are offered every morning for children aged 5 to 12, so they can make new friends while enjoying fun activities. 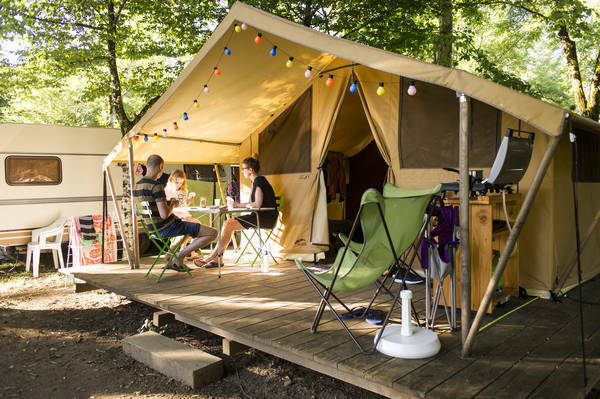 Enjoy true freedom at Huttopia Gorges du Tarn, with our brand new all-terrain electric bikes available for hire. 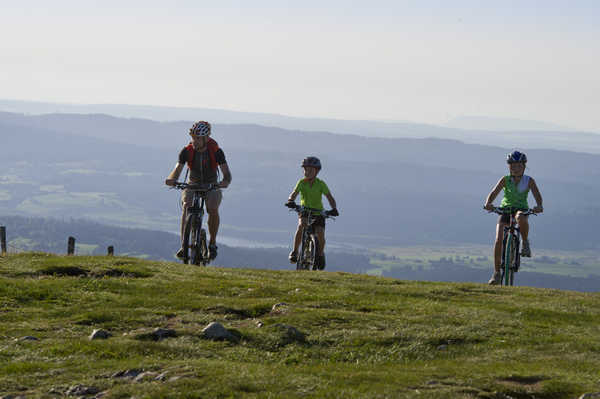 Perfect for invigorating bike rides along the area’s many trails setting out from the campsite. 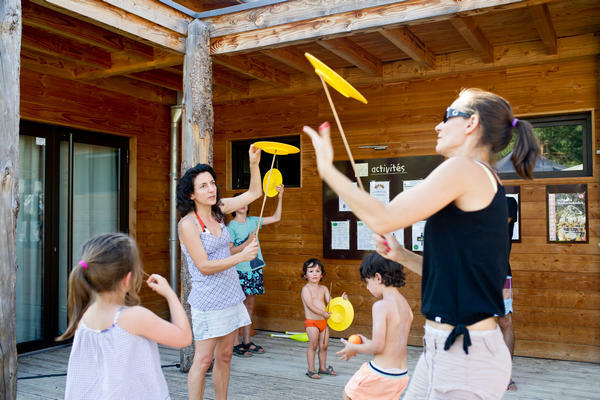 In the summertime, you can enjoy endless free activities as a family at Huttopia Gorges du Tarn campsite. 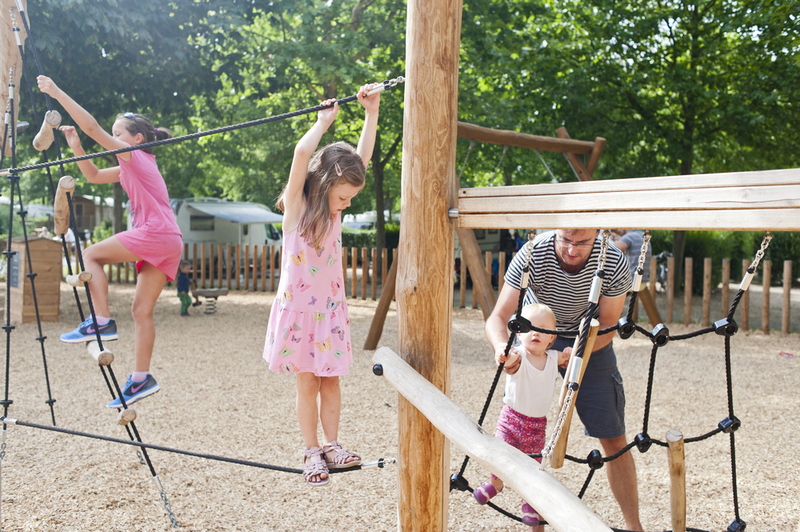 Activities accessible to all that the whole family will love! 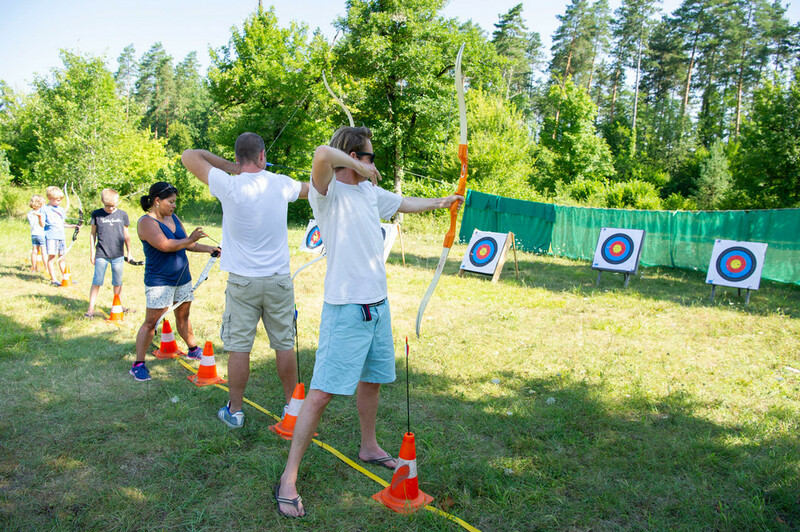 Every week, we run free taster sessions so you can try archery with your family or friends! 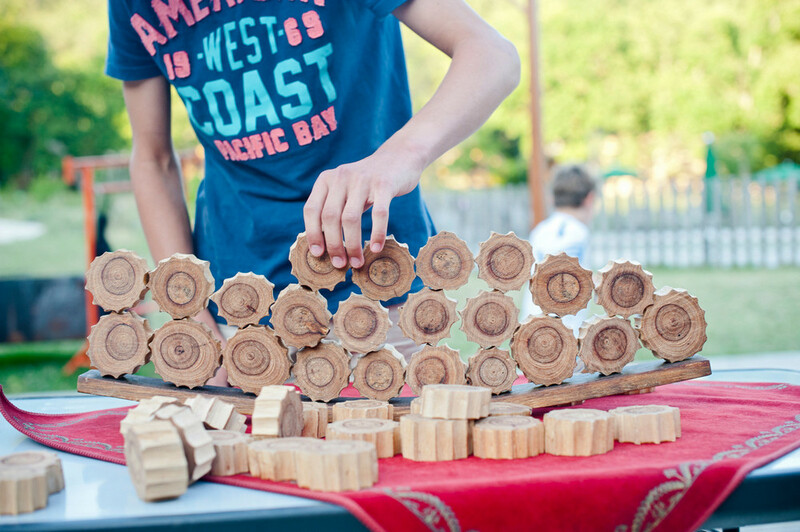 Discover the forest in a whole new way with this fun activity accessible to all. Children and adults are in for a great time! Set free your creativity and agility with our circus skills workshop. 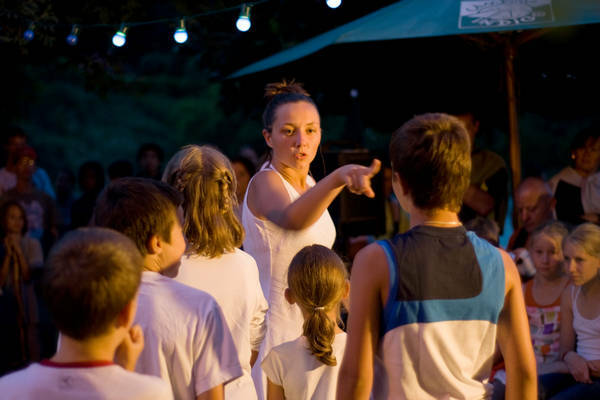 An activity for the whole family to discover the world of the circus! Enjoy relaxing evenings with various free activities. Surprising evening entertainment awaits you, particularly with our magic shows! 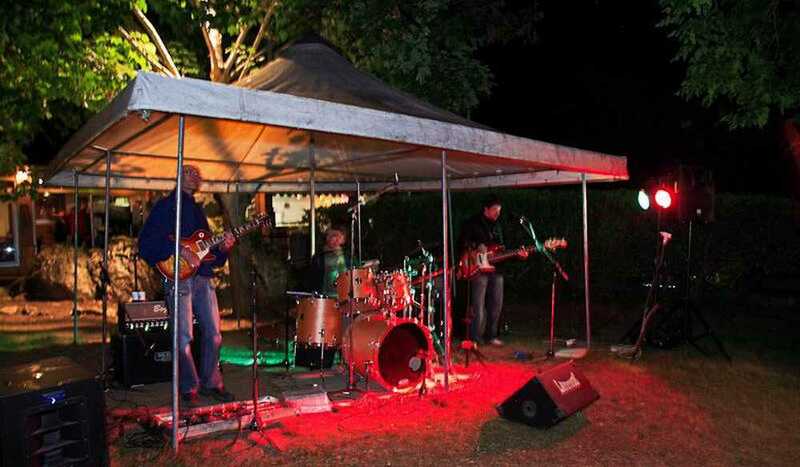 Every week, enjoy an evening of music, with a live concert on the campsite terrace. Once a week in the summertime, come and spend a convivial evening playing authentic wooden games. 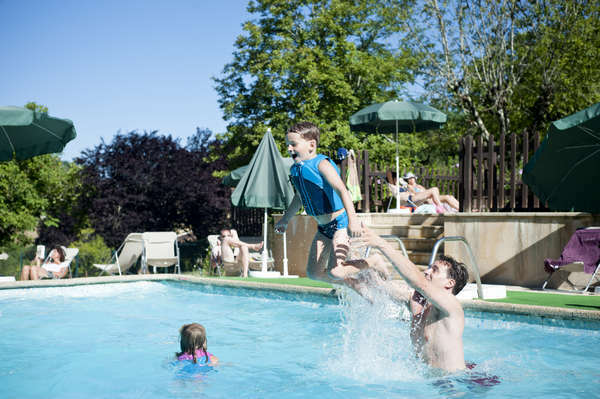 Parents will have just as much fun as children! 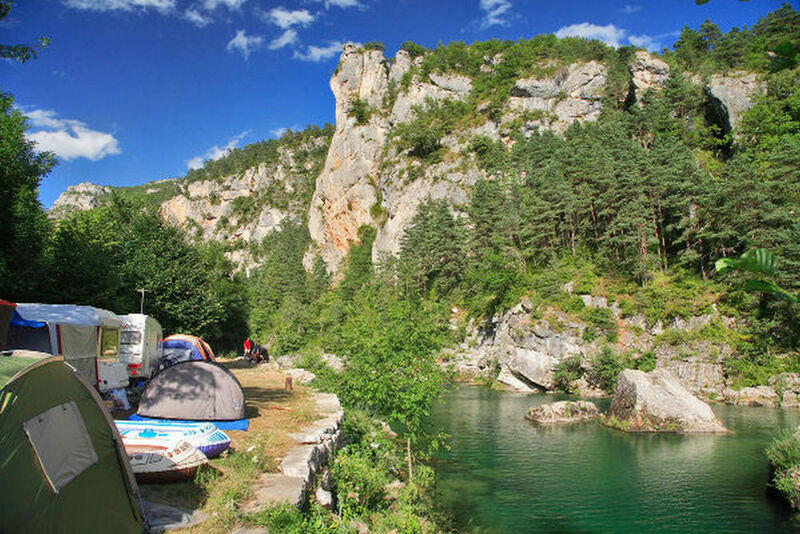 In the heart of the Tarn Gorges, explore this natural canyon and its breathtaking landscapes for an active and revitalizing holiday! 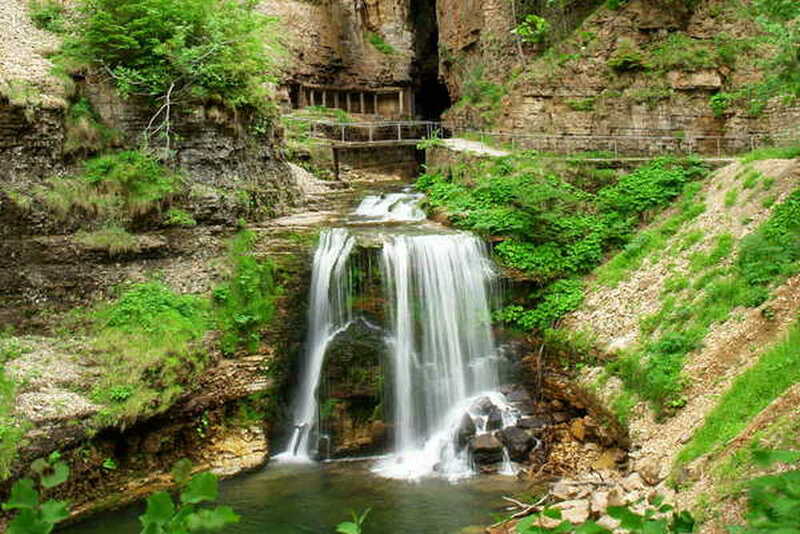 How can you explore the gorges? 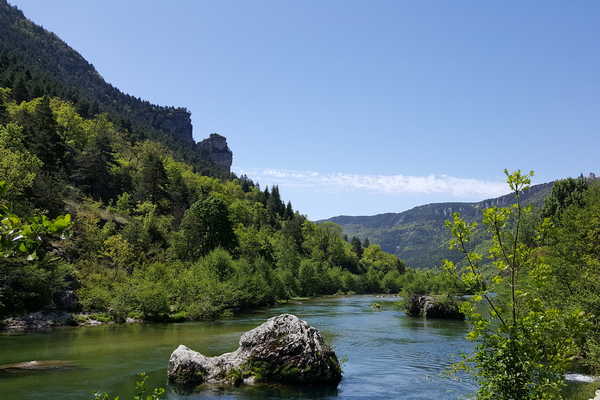 On foot: there are many different footpaths for you to discover this region, offering unique views of the Tarn Gorges and the Cévennes. 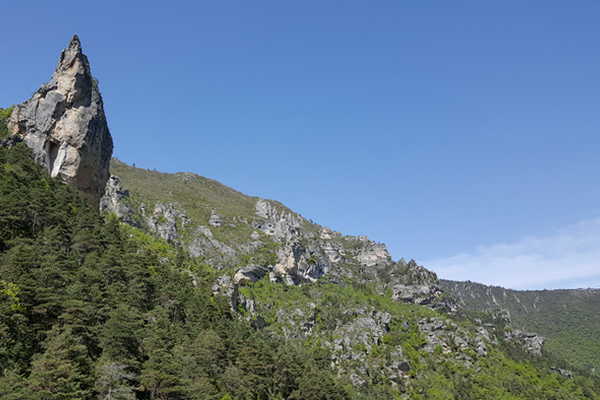 From the campsite, you can reach the GR6 to enjoy hikes along the cliffs. 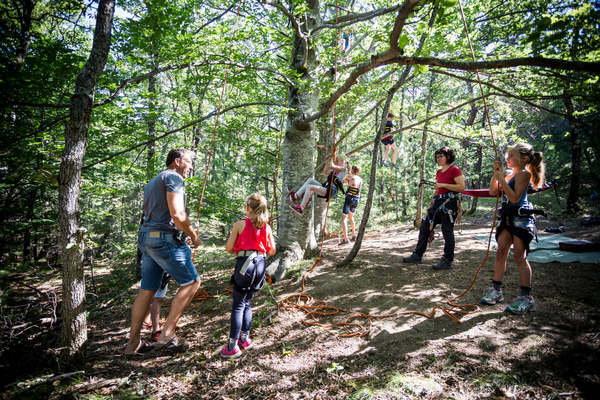 Open-air activities: The Tarn Gorges are also an ideal adventure playground for open-air activities! 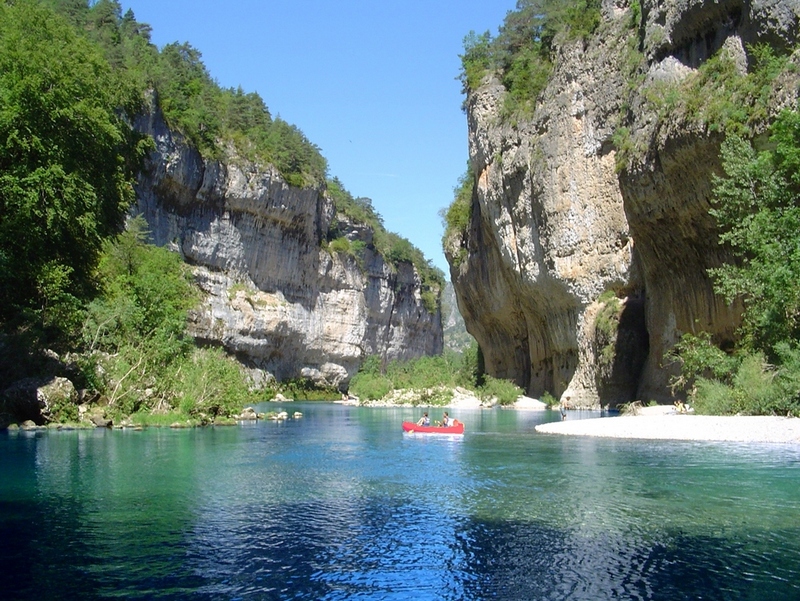 Enjoy an unforgettable experience canoeing or kayaking down the Tarn Gorges. Or try a range of open-air sports including via-ferrata, canyoning, river hikes, caving, mountain biking, paragliding… and much more besides! A renowned spot for rock climbing, the Tarn Gorges offer many routes for all levels. Calling all amateurs. River hikes from age 4! 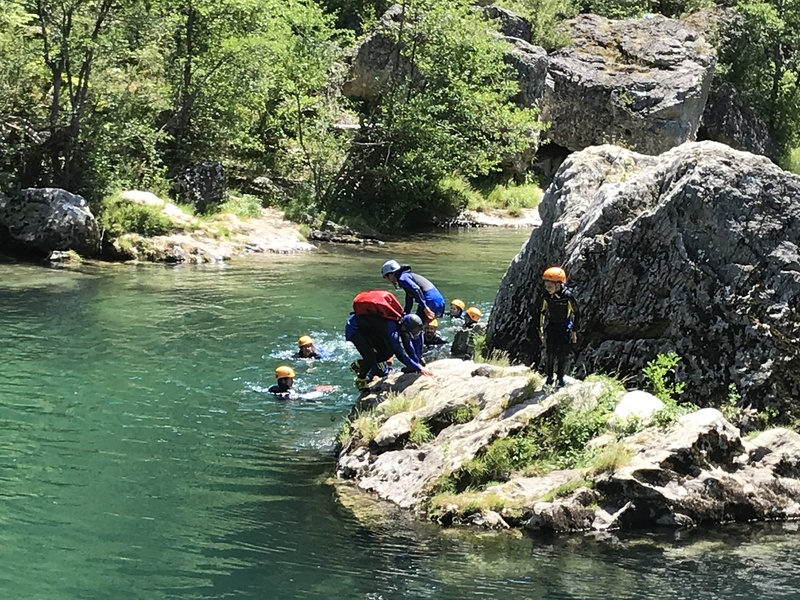 An introduction to canyoning together with an instructor to discover the river and its fauna and flora. Children and adults will all love this memorable activity. 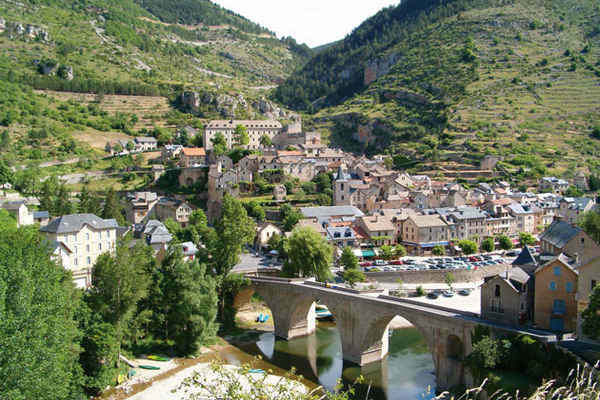 Discover the Lozère and its unique history, with its medieval castles, quaint villages and local markets. 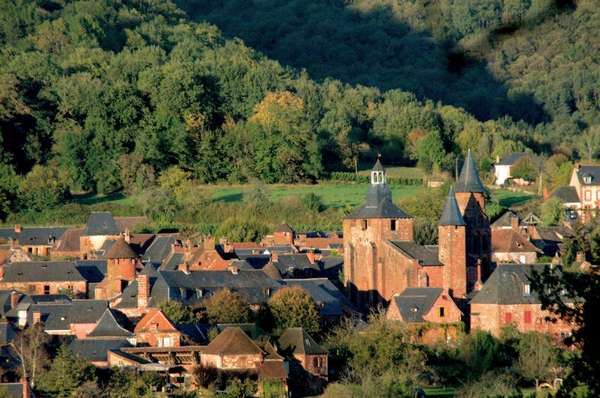 Don’t miss the chance to visit the medieval village of Saint Enimie, classed as one of the most beautiful villages in France. 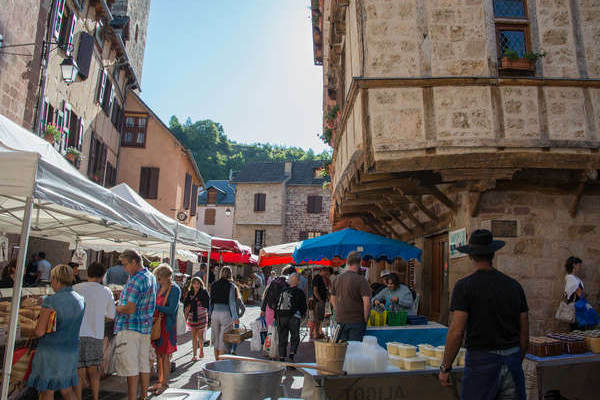 It is also well worth visiting the medieval village of Saint Enimie, classified as one of the most beautiful villages in France and other traditional villages such as Mostuéjouls, Castelbouc, and Malène. 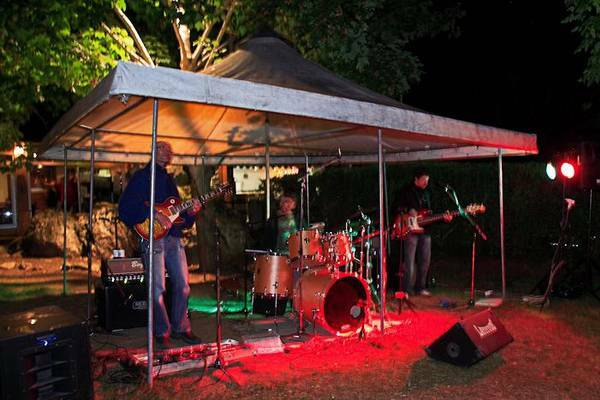 There are also a range of cultural activities for you to discover the region, its heritage and its history. 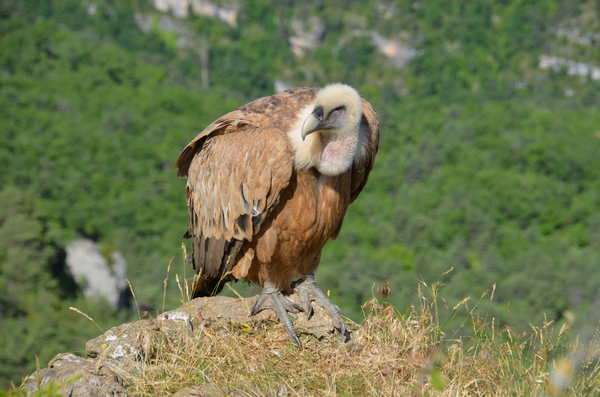 As a family, visit Bramabiau Abyss, Aven Armand caves, the vulture reserve, or Gevaudan Wolf Park! 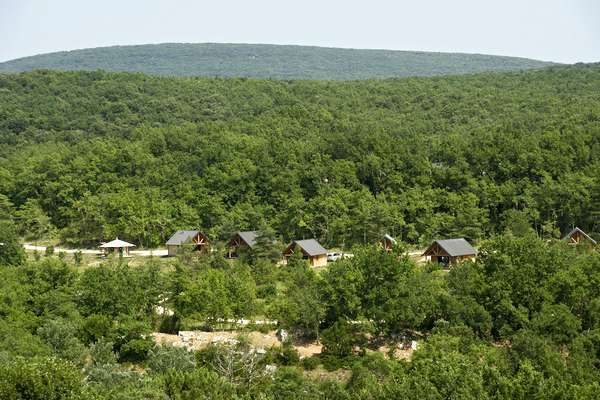 -10% from 5 nights and -20% from 7 nights from 24/05 to 05/07 and from 01/09 to 28/09.